BT MyDonate provide donation collection services to charities, with 100% of the amount going to the charity after credit/debit card charges and no monthly subscription fee. The service supports Gift Aid collection, and is used by thousands of UK charities. Simple payment processing that developers can integrate into just about anything, with plenty of ways to customise payment plans, and an easy to use dashboard to manage payments. 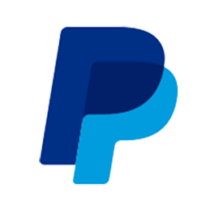 Add a donate button to your website or app using PayPal to accept all major cards with discounted transaction fees for non-profits. Online and mobile payment processing technology that developers can integrate with the first £30k of transactions without charge. Hear about the latest additions - sign up to our newsletter!